DOS version pre-packaged with DOSBox. Rayman Forever, bundled with Rayman Designer. Rayman Forever, bundled with Rayman Designer. To save disk space, the entire soundtrack wasn't included in Rayman Gold/Forever. Download the archive containing the soundtrack here. 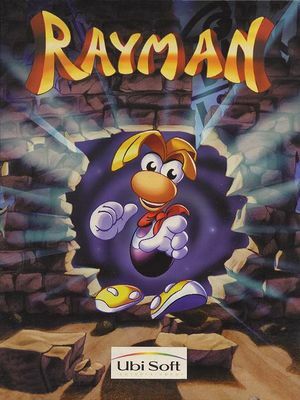 Go to <path-to-game>\Rayman\Music\ and extract the files from the archive in the folder. 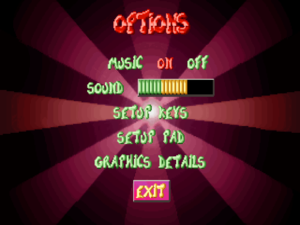 External options menu (GOG.com version). 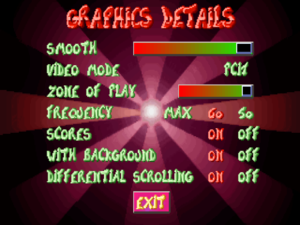 Selectable in graphics menu, labeled frequency. 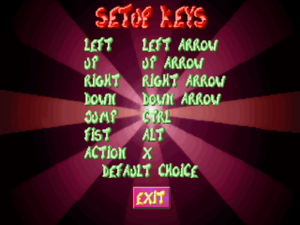 In-game keyboard key map settings. 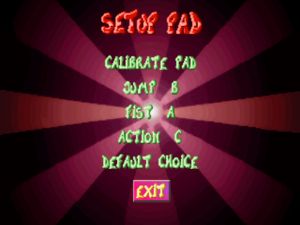 In-game gamepad button map settings. Pause menu cannot be navigated. Cannot map Esc or Space to controller. Music can be adjusted independently of sound. 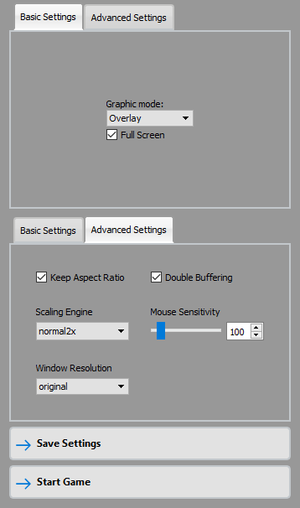 The following changes to the dosboxRayman.conf file should smooth out the sprites and make the screen less grainy when scaled up to 720p/1080p. Open dosboxRayman.conf with your text editor of choice. This configuration will allow the gamepad to be read as a keyboard, meaning binding of Esc and Space is possible. This page was last edited on 9 April 2019, at 10:48.